viadonau (www.viadonau.org) was founded in January 2005 by the Austrian Federal Ministry for Transport, Innovation and Technology (bmvit). The company was formed by the merger of via donau – Entwicklungsgesellschaft mbH für Telematik und Donauschifffahrt, Österreichische Donau-Betriebs AG, Österreichische Donau-Technik GmbH and the privatized organisation of the Waterways Authority. viadonau is a modern waterway management company executing sovereign functions on behalf of the Austrian government in the field of waterways and inland navigation. In addition to the tasks of federal waterway administration and transport development, viadonau carries out pioneering work by planning and managing the Integrated River Engineering Project to the east of Vienna as well as operating a navigation information system called Danube River Information Services (DoRIS). Also on behalf of the Austrian Ministry of Transport, Innovation and Technology, viadonau runs the Technical Secretariat for the National Action Plan on Danube Navigation as well as the European Danube Region Strategy (Priority Area 1a Inland waterways). Additionally, in cooperation with both national and international partners, via donau implements innovative projects designed to intensify waterway transport. Resulting from its international projects and tasks, viadonau has built up close contacts and working relationships with waterway administrations, promotion offices, the inland waterway sector as well as Ministries of Transport across Europe. In PROMINENT, the main activities of viadonau are: lead of WP1 (state of play), SWP2.3 (energy-efficient navigation), SWP6.1 (pilot implementation review), and SWP6.4 (policy recommendations and draft implementation roadmap), as well as provision of Danube specific contributions to all other work packages of the project with the exception of WP3 (certification, monitoring, and enforcement). The Netherlands Organisation for Applied Scientific Research (TNO) is a non-profit independent research organisation established in 1932. TNO’s public mission has been laid down in a special law: to support industry and society in general in transforming knowledge into products and processes of economic and societal value and apply scientific knowledge with the aim of strengthening the innovative power of industry and government. In the system of innovation, TNO acts as an interface between science and the market. Being both embedded in the world of fundamental research and having strong links with the world of users, TNO is positioned to fulfil this role in which contract research and strategic collaboration are keys to the transfer of knowledge. TNO has about 4700 employees working in five core areas, including Urbanisation and Energy. TNO Urbanisation conducts research on topics such as Mobility and logistics, and Environment and sustainability. TNO Energy covers among others Sustainable energy and Maritime & offshore. In PROMINENT the expertise on cleaner shipping and on cleaner engines are combined. Since its establishment in August 2012, Pro Danube Management GmbH carries out the executive works and activities, including projects preparation and management of the “Pro Danube International” association. Pro Danube International (PDI) acts as network of private businesses to promote better infrastructure and services which result in a more intensive use of the environmentally friendly inland waterway. PDI adequately represents the “Danube-minded business” in the political debate on transport policy, transport technology and regional development. PDI is a driving force in the development of the Danube as a competitive logistics system that does not compensate or duplicate existing initiatives and other professional associations but integrates and strengthens their activities. Savings in logistics costs due to efficient Danube services will enable the industries of the region to stay competitive in the global economy and will also create jobs and wealth. PDI acts as a competent partner for authorities and administrations by supporting the definition and implementation of policy actions based on the experiences of the private sector. 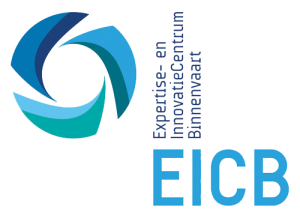 By means of its programme office Expertise and Innovation Centre Barging (EICB), Stichting Projecten Binnenvaart (SPB) actively promotes the uptake of innovation by the inland waterway transport sector. It thereby aims to further improve the sector’s capacity to innovate in general as well as realise the full sustainability potential of the IWT sector with regards to greening the existing fleet more specifically. Within its flagship project Innovation Lab, EICB identifies and addresses barriers to market transfer of greening innovations. Supervised by EICB consultants, technological solution providers, regulatory bodies and market parties develop smart solutions in order to speed up the process of market readiness for technological developments with regards to greening the existing fleet. Apart from identifying and assessing technological know-how, getting a clear picture on financing possibilities throughout the different stages of the innovation process and market uptake plays an important role during all activities. EICB is involved in several European research projects, with a special interest in dissemination activities and providing research activities, i/e fleet analyses. EICB recently launched the world’s first inland waterways CO2/sub>-calculator ‘Econaut’ for iOS and Android and the e-learning course on Smart Steaming. Services:: EICB provides project management capacity for several governmental innovation & subsidy programmes. EICB collects and provides knowledge to ship owners considering LNG, GTL, after treatment, hybrid propulsion and other energy efficiency and emission reduction technologies. Also, EICB builds and maintains (European) databases consisting of operational sailing profiles related to cost/benefit implications for potential application of alternative greening technologies. The STC-Group in Rotterdam is a world-wide strategic combination of well-established education, training, research, support, consultancy and implementation service providers for the entire shipping, port, transport and logistics chain as well as for the port-related oil and chemical industry. STC is familiar with all aspects of the logistics chain and closely involved in the daily routine of contemporary transport activities. The Group also provides comprehensive planning solutions for future developments. This combination of forces enables the STC-Group to offer a multifaceted program, ranging from education and training to consultancy services, research and technical assistance. Accreditation for education and training is given by the Dutch Ministry of Education, Culture and Science; the Dutch Ministry of Foreign Affairs and the Dutch Ministry of Transport and Public Works. The STC-Group provides training for shipping, transport and (process) industry worldwide. In the public domain, the STC-Group achieves this by providing vocational education at various levels. In the private domain, it does so by offering a recognised Master’s programme, certified training and education, applied research and consultancy. The STC-Group has branches in the Netherlands, Vietnam, South Africa, the Philippines, Brasil and Oman. The STC-Group possess the largest simulator park worldwide (including ROV, DP simulators etc.) as well as practical training facilities (helicopter platform, fast rescue crafts etc). The STC-Group has extensive experience in Research and Innovation Programmes, content wise and from a project management point of view. The most recent projects consisted of Policy Support Actions related to the implementation of Naiades and Naiades II, the European policy for inland navigation. The STC –Group participated as key member in the area of jobs & skills and is now WP-leader for Platina II, the project supporting the implementation of NAIDES II. STC has an extended track record to support governments by means of master plans for the expertise as aforementioned and conducting field studies for example. combination of forces enables the STC-Group to offer a multifaceted program, ranging from education and training to consultancy services, research and technical assistance. Accreditation for education and training is given by the Dutch Ministry of Education, Culture and Science; the Dutch Ministry of Foreign Affairs and the Dutch Ministry of Transport and Public Works. In conclusion, STC-Group is a highly specialized company in the global shipping industry and is expected to contribute significantly to the implementation of the proposed project. The STC-Group has developed a practical environment that will be at the dispose of the project; this includes modern labs, training ships, barges and boats, training centres/ rooms (Port training centre, Safety training centre, Machine room practical, Measurement and control room, Process plant) and simulators (Chain Logistics, Shipping Simulators, Loading Simulators, Port, Inland Shipping, Dredging, Sea Fishery, Offshore, Port Industrial). The Federal Waterways Engineering and Research Institute (BAW) is the federal authority of the German Federal Ministry of Transport and Digital Infrastructure (BMVI). The headquarters of the BAW are in Karlsruhe, another office is located in Hamburg. Our core task is to provide consultancy to the Federal Waterways and Shipping Administra-tion on all issues relating to waterways engineering, especially giving expert opinions regard-ing structures and equipment of the waterways infrastructure. One of our great assets is that we adopt an integrated approach to waterways engineering issues. We thus ensure that all technical aspects are comprehensively taken into account in the solutions. When planning a lock, for example, a multitude of parameters have to be factored in and agreed between the different disciplines: the selection of an appropriate filling and emptying system with an optimised hydrotechnical design, the safe embedment of the structure in the ground, its effects on groundwater levels, the statically efficient construction, the use of ap-propriate materials and the hydraulic steel equipment need to be matched appropriately. The complexity of the tasks calls for a strong team. The BAW has developed a unique network of competence and skills in waterways engineering by integrating all relevant sub-disciplines. Our work is an important contribution to ensuring that waterways in Germany meet ever tougher technical, economic and ecological demands. We have extensive expertise and experience in the field of waterways engineering and, as key players in the ongoing development of this discipline, enjoy a formidable reputation in the national and international scientific community. The main fields of DST experiences are shallow water hydrodynamics and transport related questions like competitiveness, energy efficient navigation, environmental impacts, qualification etc.. Hydrodynamic research among others addresses flow conditions around the hull of a vessel and the interactions between vessel and waterway in order to provide reliable information on power requirements and manoeuvring abilities of a ship operating in restricted fairways. Only an interdisciplinary approach, combining shipbuilding, environmental and economic questions enables competent analyses of competitiveness of the IWT system. Various projects addressed the development potential of inland waterway transport as part of multimodal transport chains. Projects e.g. addressed questions like transport of both, maritime and continental containers, concepts for oversized vessels on the Rhine or for smaller, but faster vessels to navigate tributaries and canals. Other research projects analysed topics like economic efficiency, environmental- and climate change impacts, safety aspects and fleet modernization. Since 2008, DST employs a shallow water ship handling simulator ‘SANDRA’, which enables basic and advanced training of on-board staff and contributes to the development of new research perspectives and activities. DST’s experience in questions of shallow water hydrodynamics is naturally also reflected in its research facilities: The shallow water tank with a continuously adjustable maximum water depth of 1.20 m, the towing carriage with a maximum speed of 6.5 m/s fitted with a height-adjustable measuring and work platform, wave- and current generators, manoeuvring tank with a rotating arm, the high speed carriage permitting towing speeds of up to 15 m/s and acceleration up to 1g. Within the scope of hydrodynamics DST performs experimental investigations – EFD (Experimental Fluid Dynamics) and sophisticated research using the most advanced CFD (Computational Fluid Dynamics) methods. In scientific research both methods are rather complementary since, oftentimes, only the combined application of both within the same task leads to the highest quality solution. DST employs 28 cooperators of interdisciplinary qualification (engineers / naval architects, economists, transport experts). Panteia B.V. is a Netherlands based institute offering a full range of services in policy research, consultancy and marketing research. We act as partners for national governments, provincial governments, local councils, the European Commission, national and international organisations, trade associations and the business world in general. Panteia has its head office in Zoetermeer, close to The Hague in the Netherlands, a branch office in Brussels and joint ventures in Bulgaria, China and Kazakhstan. Our transport policy has more than sixty years of active experience in transport, traffic, infrastructure and logistics. We provide our clients with reliable and objective analyses of the economic, legal, organisational and institutional aspects in these fields. With this, we aim to contribute to the innovative and structural improvement of the inland navigation sector by providing a well-founded vision, based on the principle of sustainable mobility. Panteia leads the inland navigation market in the field of modelling, forecasting and evaluating international traffic flows. Recent examples of Panteia’s work within the inland navigation sector, are the impact assessment studies for the European Commission concerning (1) measures to combat air pollution, (2) measures to harmonise professional qualifications and training standards and (3) the implementation of the European agreement on working time in inland water transport. We also conduct feasibility studies on waterway and inland port infrastructure and logistics, looking at the possible potential for new terminals or intermodal barge services. Furthermore, we performed market observations together with the Central Rhine Commission, as well as many studies on the size, impact and possible measures to address the financial economic crisis in inland waterway transport. Lastly, we are a major player in the Core Network Corridor studies for the European Commission, with Panteia being involved in 7 out of the 9 TEN-T corridors. FHOO was established in 1994. FHOO contains of four campuses in Upper Austria. In total there are about 50 academic study programs in the specific fields of IT, Communication and Media, Health and Social Sciences, Business and Logistics as well as Engineering and Environmental Sciences. In 2013 FHOO processed over 320 R&D projects with a total turnover of over € 13 Mio. FHOO comprises about 180 full-time researchers (state: June 2013), from which around 50 are employed in the field of logistics. As stated in the company register FHOO Forschungs & Entwicklungs GmbH is a non-profit-organization and does not generate any profit from its activities. The Logistikum in Steyr, Austria, is the research- and education institute of the Upper Austrian University of Applied Sciences in the field of logistics and corporate networks. Ecorys is proud to be one of the oldest (this year our 86th anniversary) and largest economic research and consulting firms in Europe. Our economists have achieved international recognition – including a Nobel Prize – for the outstanding quality of their economic analyses. Today, nearly 500 highly qualified Ecorys in house staff members serve private and public clients worldwide. Ecorys has a growing network of currently 18 offices, mainly in Europe but also in Turkey, India and Africa. Ecorys provides services of the highest quality from an independent and knowledge-based perspective leading to long-lasting client relationships. Our corporate clients range from medium-sized companies to the largest multinationals. Public clients range from local governments to the European Commission. We also work regularly for international financing institutions, including the World Bank, the European Bank for Reconstruction and Development (EBRD), European Commission and Asian Development Bank. Over the years ECORYS has established an impressive consulting experience and expertise, not only in traditional fields like shipping, tourism and coastal protection but also in emerging areas such as offshore renewable energy and blue biotechnology. Experts of ECORYS are working in multidisciplinary teams, consisting of maritime economists, engineers, maritime logistics experts, legal and institutional experts, financial engineers and environmental specialists. Inland waterway transport is one of the key areas that Ecorys is involved in, covering a wide area ranging from navigation studies, to the construction of new terminal and associated facilities, to the assessment of the inland waterway structure and of business concepts. Several sector studies were carried out on a range of topics including the application of dual fuel, the application of a push barge cooperation concept, and optimum waste processing to the market potential for river-sea vessels. One of the core activities of Ecorys is conducting feasibility studies through applying cost benefit analysis (CBA) methodology for assessing investments in fleet, policy measures or new and upgraded infrastructure. Resulting from its national and international projects and milestones, Ecorys has built up close contacts with waterway administrations, promotion offices, the inland waterway sector as well as Ministries of Transport across Europe. Some relevant studies Ecorys recently has been involved in projects like PLATINA, IDVV, MOVE-IT, the development of an IWT master plan in Poland, the CBA of the Flemish regional IWT infrastructure investment plan, the introduction of dual fuel in inland shipping, and monitoring the fuel efficiencies program in the Netherlands (VoortVarend Besparen). 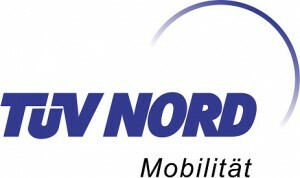 TÜV NORD Mobility is an accredited, innovative and independent engineering service provider for all services regarding Mobility. The Institute for Vehicle Technology and Mobility (IFM) of TÜV NORD offers a range of services. IFM is working on a national, European and global level for industrial companies and regulatory authorities for five decades. In addition, 130 employees have a recognized high level of technical expertise in mechanical, mechatronical and electronic systems in modern vehicles. TÜV NORD pursues the goal, at the highest technical level, of improving safety and respect for the environment in modern vehicle technology. The latest engineering knowledge, advanced technologies and continuous training mean the IFM have the groundbreaking expertise for vehicle and vehicle component assessment. We support our customers with the development and testing of their products (full systems, sub-systems, software etc.) for an optimal acceptance and product protection in national and international markets. Beside services for complete vehicles, Systems and Components like braking systems, wheels, tyres or electronics, one department of IFM is dealing with exhaust emissions of internal combustion engines in different applications. The range of services is from supporting international working groups in developing new regulations to performing emission tests on own test benches or witness tests at our customer’s facilities to PEMS (portable emission measurement system) measurements on nearly all applications to R&D projects on national and international levels. The University of Craiova was founded within the university center system in Romania in the second half of the 20th century, being, chronologically, the fifth university in the country, following the ones in Iasi, Bucharest, Cluj-Napoca and Timisoara. University of Craiova is an academic institution oriented to education and research activities where a lot of specialists work in different fields of interest as Engineering, Inland Navigation, Environment Protection. UCV cooperates with international and national institutions, local government agencies, SMEs. The international recognition is proved by the various partnerships established between University of Craiova and other institutes and universities from Romania and Europe, this framework have allowed to our specialists to perform fundamental and applied researches in projects funded by the Romanian Government and European Commision. The expertise in international projects is proved by the participation in more then 150 projects since 2004 in various Programmes such as LEONARDO DA VINCI, SOCRATES, ALPINE, MSU–AUF, RISU–AUF, PECO, FP6, FP7 or SEE. Based in Tienen, Belgium and established in 1981, Multronic provides services and solutions in the field of emission reduction for on/off road, marine, rail, marine and stationary engine applications. 1. It has provided consultancy and services in relation to the monitoring and datalogging of emissions. Its DE-TRONIC datalogger is used to record numerous engine parameters including temperature, back pressure, turbo pressure, operational time, exhaust gas flow and also, in marine applications, vessel speed and position. Accompanying it is the ME-ANALYSIS data analysis software tool which creates graphics of all logged parameters. Its PATTON SCR system for NOx reduction consists of an SCR (selective catalytic reduction) catalyst, urea dosing system with all necessary sensors and actuators together with the complete exhaust line. Its PATTON SCRonDPF for NOx and PM (particulate matter) reduction consists of an SCR catalyst, DPF (diesel particulate filter), urea dosing system, diesel dosing system (for active regeneration of the DPF) with all necessary sensors and actuators together with the complete exhaust line. The company fleet owes 52 pusher boats of various powers (150 – 3200 HP) and 348 barges of different capacities (1000 – 3200 t). As a result of a restructure of the River Navigation Enterprise, in 1991, the NAVROM Romanian River Navigation Company was born, having its headquarter in Galati.Starting 1992, the society had permanently modernized its fleet, investing in new naval equipments and constructions, in order to keep up with the requests of the European river transportation market. Nowadays, C.N.F.R. NAVROM S.A. is a solid company, being permanently prepared to assure its clients transportation requests, on any sector of Danube located between the Black Sea and Regensburg. River transportation of goods: cereals, minerals, chemical products and ballast on the entire navigable sector of Danube. Services of port maneuvers, in the Constantza Port the binding and unbinding of the un-propelled ships, the introduction and the pulling out of the un-propelled ships at the loading and unloading at the port’s moorings, agency services for the ships, the surveillance and assistance of the ships stationed in the moorings of the port. ADS van STIGT is a sales and service organization for drive line and monitoring systems. The company was incorporated by Henk van Stigt in 1970, aimed at the sale of reverse reduction gearboxes for the shipping industry. At the time the most important arguments of our sale activities were service and stock of parts and complete gearboxes. Now, 44 years on, these are still the most important reasons for our existence, but we have added a significant number of different products to our range, such as planetary gearboxes, pump drives, clutches, control systems and sensors. Over the years we have also developed various electronic measuring, control and monitoring systems together with our partners. Thanks to our experience and our technically well-trained and specialized staff, we can now take on full responsibility for your system. In short, we would like to be your partner for the future. We would like to present ourselves as driven, proactive, anticipating new developments and regulations. We are ready to assist you with our team of 40 specialists. Our expertise covers the sectors pleasure cruising, mega-yachts, inland shipping, fisheries, ocean going shipping, dredging, general machine building and industry. We have modern workshops and conditioned warehouses; they are equipped with advanced machinery, test equipment and tools. We purchase standard equipment from our partners and customize them in house. We build our hybrid solutions as much as possible on proven components to supply reliable installations. Our main partners are Masson Marine, O&K Antriebstechniek, Carraro, Plöger, Horn, Geislinger, Schaller, Logan, Durst, Cotta, Hybrid Ship Prolusion and ZF-Marine. In the Netherlands, Wartsilä is the market leader for the maritime industry. In the offices in Drunen, Harlingen, Kruiningen, Kampen, Schiedam, Waalwijk and Zwolle 800 employees are contributing to the goals of Wartsilä.